Between Capitol Blvd and 6th Ave N. once stood one of the most beautiful buildings in the country. The luxurious theater was operated by Dewey Mason from 1920 until 1945. Mason oversaw the renovations that were made to the theater in the 1930s. After Mason, Floyd R. Rice managed the theater until 1952. The Knickerbocker closed on February 4, 1962 almost 46 years after it opened. The theater began showing low budget movies, for years such as Hot Rod Girls, Girls in Prison, Attack of the Crab Monsters, Not of This Earth, and Attack of the 50 Foot Woman. After its closure, the building was stripped and converted into a Super X drug store which occupied the space for 20 years. By 1990 the Knickerbocker Theater was totally abandoned. It was subsequently torn down in order to make way for a parking lot. The site is currently occupied by Tennessee State Government offices. Chris Walker, “Knickerbocker Theater,” Bygone Nashville, accessed April 25, 2019, https://bygone-nashville.mtsu.edu/items/show/30. 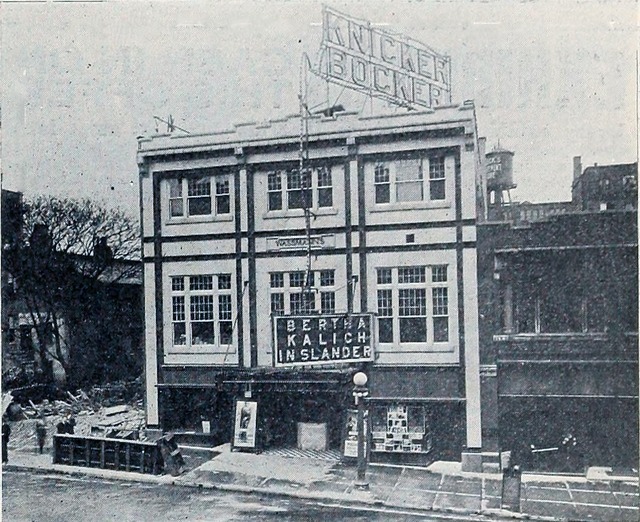 “Knickerbocker Theater.” Cinema Treasures. Accessed Dec. 1, 2017. http://cinematreasures.org./theaters/ 13520/comments. "Chalmer’s Publishing Company. “The Moving Picture World." Google Books. Accessed November 30, 2017. https://books.google.com/books?id=saMbAQAAMAAJ&pg=PA1867&lpg=PA1867&dq=knickerbocker%2Btheater%2Bnashville%2Brenovation&source=bl&ots=Gdn6RiueYV&sig=V0UgQ3lPNyl9nTMhtJJFGoa9LRA&hl=en&sa=X&ved=0ahUKEwiV-MjqlOfXAhWik-AKHb3WDY4Q6AEITTAF#v=onepage&q=knickerbocker%20theater%20nashville%20renovation&f=false. Published on Dec 4, 2017. Last updated on Dec 9, 2017.